Welcome to the London Drugs Photolab! With over 35 years of photofinishing experience, the London Drugs Photolab can help you to preserve your memories and bring your photos to life. 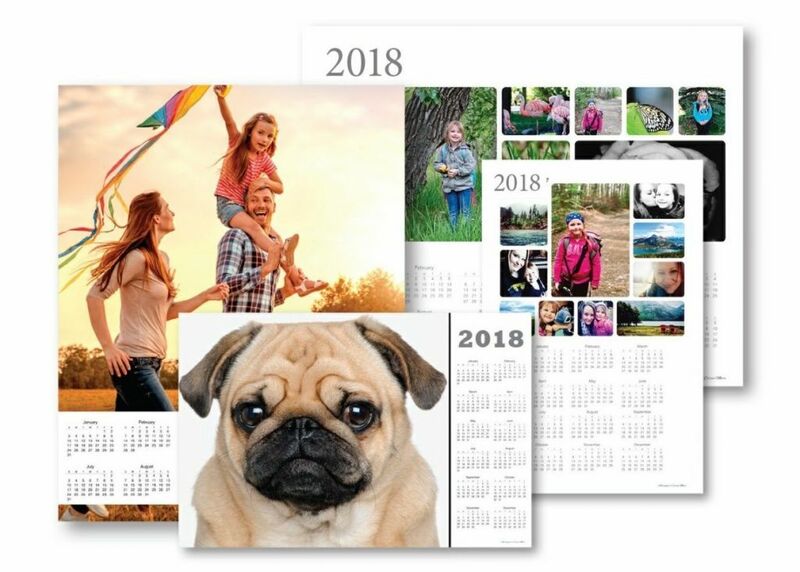 Our Photolab provides a wide variety of prints and personalized gifting products to creatively share your best photos, from photo books and mugs, to fine art prints and so much more. Our experienced Photolab Technicians are dedicated to producing the highest quality photofinishing products, as well as offering Photolab services including film processing, scanning, and digital restoration: all using state-of-the-art equipment. Why trust us with your photos? Watch the video to see how our LDExperts Nikki and Dave have built trusting relationships with their Photolab customers. Or just ask the countless Canadians – families and photographers alike – who already trust us with their photos! Visit the London Drugs Photolab online or in-store to start creating something unique with your photos, or download our London Drugs Photolab App for iOS and Android. We can ship to your local London Drugs for pick-up, or deliver anywhere in Canada. At London Drugs, we are committed to being involved in the communities we serve. Our London Drugs Photolab Experts have a true passion for photography, and enjoy any opportunity to celebrate artists in our local photography community. From the Capture Photography Festival to the Local Inspirations Artist Gallery program, we aim to support photographers in many ways, in an effort to share the joy of photography. Local Inspirations Artist Gallery, featuring local photographer Yuji S.
The Local Inspirations Artist Gallery program is an ongoing company-wide celebration of photography at the community level. The photographer’s work is featured in a gallery at the artist’s local London Drugs, professionally printed by our London Drugs Photolab Technicians, using state-of-the-art printing equipment. The gallery is a platform for local photographers and artists to showcase their work to others in the community, while also helping them gain new clients and grow their business. Yuji S. is one of our Local Inspirations-featured photographers, whose images are currently on display at our Broadway & Vine store. Yuji is a stock photography contributor for Getty Images, and enjoys taking photos of animals, people and nature. He uses our London Drugs Photolab for all of his printing and custom created photo gifts, so naturally Yuji knew the Photolab would be a great place to showcase his favourite prints! For those interested in purchasing one of Yuji’s prints, they can contact him at: yuji@ysphotography.ca. If you wish to be featured in an upcoming gallery, visit your local London Drugs Photolab for details about showcasing your work and becoming a local inspiration to others. Even in today’s digital-centric world, printing has remained an incredibly important part of the photography process. Photography is meant to celebrate a special moment in time, and photo printing helps us to share that moment with the world. It’s worth reminding ourselves just how powerful a photo can be, especially while we celebrate World Photo Day. Developing negatives has always been an exciting part of the process for any photographer, and for a long time it was the only way to share your captured images. It was the only way to tell your story. Henry Fox Talbot pioneered the process of chemically developing film negatives, patenting the process of ‘calotype’ in 1841. This calotype process made photography more practical than paintings and illustrations, with the new ability to make any number of prints from a single negative image. Suddenly, photography was accessible to the everyday person. However while our options used to be limited to basic prints and enlargements, photographers now have all kinds of unique print surfaces at their fingertips. Thanks to digital technology, we can tell the story of each photo not just with the developed print, but through editing and the print surface itself. After all, a bright, vivid image won’t be conveyed the same way as a dark moody image on the same surface. You’ve chosen a moment in time that you want to celebrate, now you just have to find the perfect surface to share it. Here is a look at some of our favourite print surfaces. These high-gloss aluminum metal panels have become a popular choice for photographers in recent years. We’ve had many professional photographers tell us these eye-catching prints have been popular with their clients as well. The coated aluminum sheets are infused with dyes that can make any image, especially detailed and rich landscape photos, come alive with vibrant colour. The London Drugs Photolab has expanded the availability of metal printing technology from just one location to now several Photolab locations, which have the special presses necessary to create the aluminum prints on-site. The lightweight and durable surface makes these prints ideal for hanging on the walls of your home or gallery. They’re also an especially good choice for high traffic areas, thanks to their resistance to fading. Local photographers Stacy William Head and Larry Hilderman have both printed their landscape images on aluminum metal panels. Stacy finds that the aluminum surface gives his rich, long exposures a very surreal feeling compared to paper or canvas. Larry appreciates the depth it gives his landscape images. You can read more about both Stacy and Larry’s experiences with aluminum metal panels on their respective blog posts here and here. Turning your most precious moments into a true work of art is easy with canvas gallery wraps. Using specially pigmented inks with archival qualities, the image is printed on a fine art canvas. The canvas is then stretched around the sides of a 1.75” wooden frame and secured on the back. This style gives the image added depth and dimension. Since the image is printed right to the very edge of the canvas (otherwise known as “full-bleed”), the print can be hung on a wall without an art frame. If you do want the look of a border, our LDExperts in the Photolab recommend a black or white frame, or a floating black frame. Our LDExperts recommend keeping the canvas dry and avoiding water or liquid cleaning solutions. This will help to preserve the image’s colour and contrast, allowing it to last for many years without noticeable fading. A new offering is the metallic canvas, which features a pearlescent finish and vibrant colour reproduction. If you’re looking for a unique surface texture, this is an excellent choice. The texture of bamboo prints really is unparalleled. Made of 90% bamboo fibres and 10% cotton, this ultra-matte, finely crafted white paper offers a unique look and feel to your image. The surface offers maximum aging resistance and an extremely large colour gamut. As an added bonus, bamboo prints are also environmentally-friendly, as bamboo is considered to be a highly renewable resource. Local photographer Matt Ferguson was impressed after printing on bamboo for the first time. The “texture and physical feel to the print” made it stand out, and he felt as though he “could actually touch the trees and feel the coolness of the fog” featured in his image. If you’re curious to hear more about his experience you can, check out this blog post. Hopefully World Photo Day will inspire you to experiment with your photofinishing options and try something new. Consider the image you have (portrait or landscape), the colours (vivid or dark), and the purpose (home décor or gallery display) and use those elements to help you decide which surface will best tell the story of your image. If you need a little extra help deciding which surface is the right choice, just speak with one of our LDExperts in the Photolab department in-store! Dads of all kinds have been there for us, from our first bike ride without training wheels to when they shed a tear at our high school graduation. After all the birthdays, soccer practices, and comforting hugs, we’re all grown up—but our dads get to still play a huge part in our lives, especially as we have kids of our own. For the 3rd consecutive year, London Drugs is proud to be a sponsor of the Capture Photography Festival, celebrating local and international lens-based artistic talent in Vancouver. The festival is devoted to exhibiting challenging and thought-provoking photography at over 50 esteemed galleries and public installations. This year, the London Drugs Photolab printed the works of several high profile Capture exhibits, including LA-based photographer Aline Smithson’s exhibit Self & Others: Portrait as Autobiography, and the News Photographers Association of Canada’s National Pictures of the Year awards exhibit. Using the best in photofinishing equipment and innovative materials such as our Hahnemühle Fine Art Bamboo Paper, our passionate, experienced Photolab Technicians printed flawless fine art pieces hung in galleries across the city. These fine art printing services aren’t just reserved for professionals, either. Amateurs, freelancers, and professionals alike can get museum-quality prints, using the London Drugs Photolab’s cutting-edge printing services. Visit our Photolab in-store or online to find the right print for your photography project!